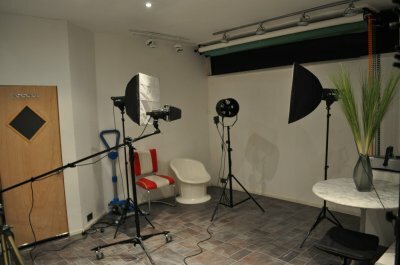 'Live Wire Creative' is a 'value for money' Photography Studio, based in Haggerston, Dalston, East London. Suitable for full Photography range and Video shoots, music orientated or documentary. Studio Space around 6m * 5m / Ceiling Backdrops, Black/ White/ Chrome Green/ Orange/ Purple + more - Continuous Lighting / Softboxes / Wind Machine / Smoke Machine / Various Props available. 3 minutes Walk from Haggerston Overground Station. Prices rates from £9.50 per Hour.